KABUL -- The unprecedented selection of two Afghan women to positions overseeing the country's election process highlight the progress made by women since the liberation from oppressive Taliban rule almost two decades ago, activists and citizens say. Hawa Alam Nuristani was elected head of the Independent Election Commission (IEC), while Zuhra Bayan Shinwari was chosen to lead the Independent Electoral Complaints Commission (IECC) on March 5. Free, transparent and fair elections could restore Afghans' trust in the commission, Nuristani told Salaam Times. "The country's political future relies on the Independent Election Commission," she said. "Therefore, I pledge that I will do everything in my ability to lead a free, fair and transparent election in which only the voters will choose their fate and future president," Nuristani said. "I have brought the Election Commission and Electoral Complaints Commission to work closely with each other. Now, we're working to finalise and announce the results of the Wolesi Jirga (the lower house of parliament) election for the remaining provinces," she said, referring to last October's balloting. Afghan officials still have not finalised the results. Nuristani also vowed to help ensure implementation of overdue reforms in the electoral process, such as tapping technology to tackle voter fraud. "To guarantee transparency and hold an election that is acceptable to the public, the next round of elections will be electronic and based on biometric technology," she said. "I will bring reforms to the election commission. I will replace the corrupt and biased with independent, talented and committed individuals so that the commission can work independently," Nuristani said. "After we announce the results of the Wolesi Jirga election and bring reforms in the commission, we will start planning for the district councils and the presidential election, and we will co-ordinate with civil society, political parties and the international community to successfully implement the election process," she added. The dual ascent of Nuristani and Shinwari is the latest in a string of achievements of Afghan women in all parts of the country's political, social and economic landscape. "These appointments as chiefs of the Independent Election Commission and the Independent Electoral Complaints Commission are one of the hundreds of Afghan women's achievements," Shukria Jalalzai, a Kabul-based civil society activist, told Salaam Times. "Afghan women have achieved a lot in the past 19 years. Women have had an active presence in politics, the economy, trade and government, and they even have been active in the security sector, such as serving in the police and military," Jalalzai said. "Afghan women have experienced big changes in their lives," Jalalzai added. Women comprise 14 deputy ministers and 30 members of parliament. For the first time in Afghan history, a woman has been appointed the country's ambassador to the United Nations, according to Jalalzai. "The appointment of two women to lead key and crucial commissions is an unprecedented decision ... that has garnered a widespread welcome from the broader Afghan female community," Fatema Masoud, a Kabul-based women's-rights activist, told Salaam Times. "The past 19 years have been a golden age for Afghan women, and women have been able to benefit from the golden opportunity in achieving their rights. Afghan women have never had the kind of rights and freedoms they enjoy today," Masoud said, referring to life under the former Taliban regime. "The right to education, freedom of expression and the right to work in government and private institutions and many other rights are among the benefits women have gained in recent years," she said. 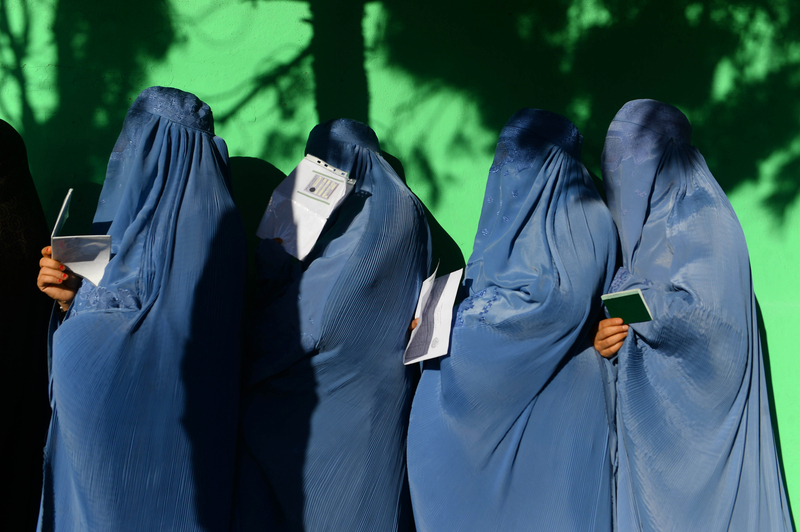 The selection of the two women could potentially bolster citizens' trust in the country's election process, according to Fatana Gailani, a political activist and director of the Afghanistan Women Council. "We welcome the first-ever selection of two women as chiefs of the Independent Election Commission and Electoral Complaints Commission," she told Salaam Times. "I hope that these two women will be able to hold better elections that can reflect the public's wishes and overcome the mistrust that Afghans have developed toward the election commission," she said. "This change will convince voters to willingly take part in the presidential elections that will take place in the next few months." Gailani is optimistic that the appointments represent further progress in store for women in Afghanistan. "Afghan women have had big successes in the political and social arenas in recent years, and I hope that women's role and participation will increase in the government and other parts of the system so that gender equality can be appropriately observed," she said. "Twenty years ago, women were deprived of their fundamental rights, but women now have been experiencing big and incredible changes in their lives," Shabana Rahmati, 31, a resident of Kabul and employee of a private company, told Salaam Times. "Women were not able to leave their homes, but now they serve as ministers, deputy ministers, directors, ambassadors, governors and university lecturers, and they play an active and effective role in society. I am pleased as a woman that two women are leading the national process of elections." "Millions of girls and women are busy getting an education in schools and universities, tens of women are members of the parliament, and women's role and achievements continue to improve every day," she added. "These changes have made women very hopeful for their future." It is well done. I strongly oppose most of Taliban's policies especially their killing of Afghans; however, there is one thing that when you are making comparison, do not say what women's condition was during Taliban era, you may also write about the women's condition before Taliban – during the era of Burhanuddin Rabbani. Weren't women's breasts cut during the era of Rabbani in Kabul city? Didn't Massoud's men force a young girl to throw herself from the 4th floor in Macroryan area? Women's children and husbands were not killed in front of them? Assassination of a former minister, Salih Mohammad Zerai,'s wife and children during the era of Rabbani in an apartment of Macroryan area is its living example. If you do not agree with it, you may ask their daughter, Najiba Lima, who works as newscaster for BBC Pashto service in London. Since the coup d'état against the republic government of Daud Khan by communists and two to three years before the coup d'état as the Jihadi thieves and looters went to Pakistan's intelligence and they gave them trainings, till today all the armed groups' leaders are hair of the same dog, none of them is better than the other.